FDA USP VI silicones are ultra-clean medical materials that meet requirements from both the U.S. Food and Drug Administration (FDA) and the United States Pharmacopeia (USP). These high-purity elastomers support medical die cutting and cleanroom manufacturing for applications such as medical devices. To ensure quality and cleanliness, die cutting by an ISO 13485:2016 certified company may be required. FDA USP VI silicones comply with FDA CFR 177.2600 requirements for high-purity rubber articles that are intended for repeated use. They also meet USP Class VI requirements for the biocompatibility of materials used in medical devices and equipment. FDA CFR 177.2600 is part of the U.S. Code of Federal Regulations (CFR). USP Class VI is one of the most stringent requirements in medical device manufacturing. Medical silicones can be cured with either peroxide or platinum. Peroxide curing requires post-baking to remove impurities. Platinum curing does not. Medical silicones that are platinum-cured also have lower levels of extractables, chemical compounds that can migrate under conditions such as elevated temperature. For FDA USP VI silicones, platinum-curing also supports a more consistent appearance. Medical die cutting for FDA USP VI silicones puts precision manufacturing in a cleanroom environment. As a production technique, die cutting produces higher-quality parts than can be made with a handheld cutting tool. There’s less material waste, too. Importantly, medical die cutting is a fast, precise, and repeatable across part volumes. Cleanroom manufacturing can also support packaging and assembly. 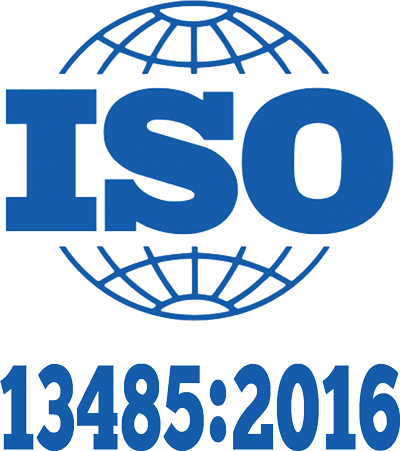 Medical die cutters that are ISO 13485:2016 certified have a quality management system (QMS) that meets requirements for medical device manufacturing. This global standard also reflects the increased regulatory requirements across the medical supply chain. For medical device companies, partnering with an ISO 13485:2016 certified die cutter can improve efficiency and reduce risk. 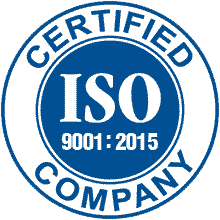 Interstate Specialty Products (ISP) of Sutton, Massachusetts is an ISO 13485:2016 certified die cutter with a Class 100,000 (ISO 8) cleanroom. ISP can also source platinum-cured medical silicones that meet both FDA and USP Class VI requirements. 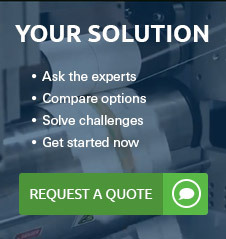 To learn more about how we provide die cut products for medical applications, please contact us. Keep up on the latest news and special offers from Interstate Specialty Products.